La Toya Jackson: "Michael Was Murdered"
La Toya said she last saw her brother three weeks before his death at a dinner for their parent's 60th wedding anniversary. "We have to do this again," she said he told her. Michael Jackson’s entourage murdered the pop star, sister La Toya Jackson has claimed in a British tabloid newspaper. 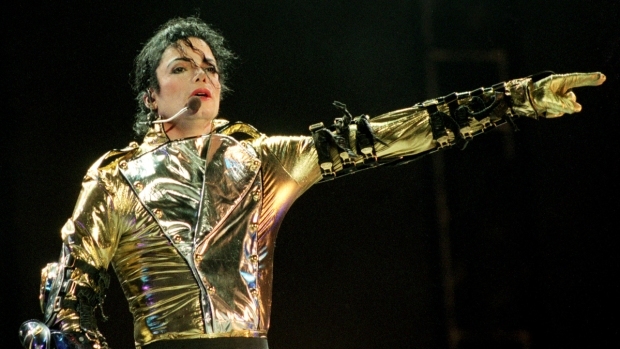 In a long, emotional interview with The Sunday Mail, Jackson, 53, blamed a “shadowy” group of hangers-on for exploiting her “fragile” and increasingly isolated brother, who, she said, had become the “loneliest man in the world.” She also weighed in against Debbie Rowe as guardian of Jackson's children, and said that Jackson would never want to be buried at Neverland Ranch. But Jackson's main point in speaking out was to "put the truth out there" that "Michael didn't have to die." The fifth of nine Jackson children, La Toya was especially close to the Gloved One, according to the Mail. She signed his death certificate and said she won’t rest until she tracks down the person or people responsible for his early exit at age 50. The allegations come two days after the family’s patriarch, Joe Jackson, told ABC News that he feared “foul play” in MJ’s death. Los Angeles police have declined to rule out a criminal investigation. On Friday, the Jackson family received results of the independent autopsy they ordered, La Toya told the Mail. She said she would hold off from discussing details of the independent autopsy until results of Jackson’s formal autopsy are released in the coming weeks. But she told the Mail that police had found four “fresh” needle marks on her brother’s neck. There were also marks on his arms. "It will all come out," she said. "You will be shocked." The stress of preparing for 50 shows for Jackson's farewell tour may have been too much for the singer, she added. Still, she said she had a worse feeling about those whose job it was to look out for her brother -- a civil lawsuit could be in the works.